In "MX vs. ATV Unleashed," players power through all-new environments and event types, choosing from a variety of new vehicles. A redesigned monster truck, powerful sand-rail and raised 4x4 golf karts will meet ATVs, dirt bikes and bi-planes to compe..
Mat Hoffmanâ€™s Pro BMXâ„¢ 2 allows players to travel with Mat Hoffman, Mike Escamilla, Chad Kagy, Cory Nastazio, Joe Kowalski, Rick Thorne, Kevin Robinson, and Simon Tabron to eight cities across America. 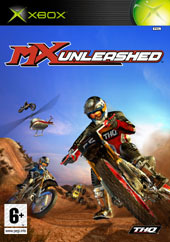 Players can perform thousands of tricks as t..
Get ready to unleash the power, the speed, the heart stopping, gear mashing, engine screaming action of MX Unleashed! 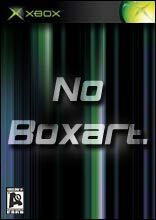 Go bar to bar against the top champions in the world with physics so real that you'll feel as though you are three stories high clea..
X³: REUNION is the sequel to the award winning X²: THE THREAT PC CDROM game of 2004. X³ continues to lead the way in offering players the ultimate open ended game play experience, backe..